Something huge happened to me yesterday. I know to a lot of you this doesn’t seem like a big deal. To my fellow runners 9 miles is probably peanuts, and to those that don’t run I’m sure 9 miles (roughly 14.5km) just seems like torture, regardless of whether there’s IT band pain or not. But believe me when I say this is like the greatest thing that’s happened to me since I discovered how amazing an almond dipped in peanut butter then stuffed into a date that’s dipped in more peanut butter tastes (which, by the way, is pretty freakin’ amazing). I haven’t had a pain-free run of this distance since probably early July of last year. After all my IT band issues started in the last few weeks of my Seawheeze training, I’ve constantly been struggling with making it past 10km without any pain. Even when things started getting better this Spring after months of physio, the furthest I got without any pain was 8 miles. What was different about today’s run was my mindset. I had a bit of a revelation while I was out for a quick 2-miler on Saturday morning. 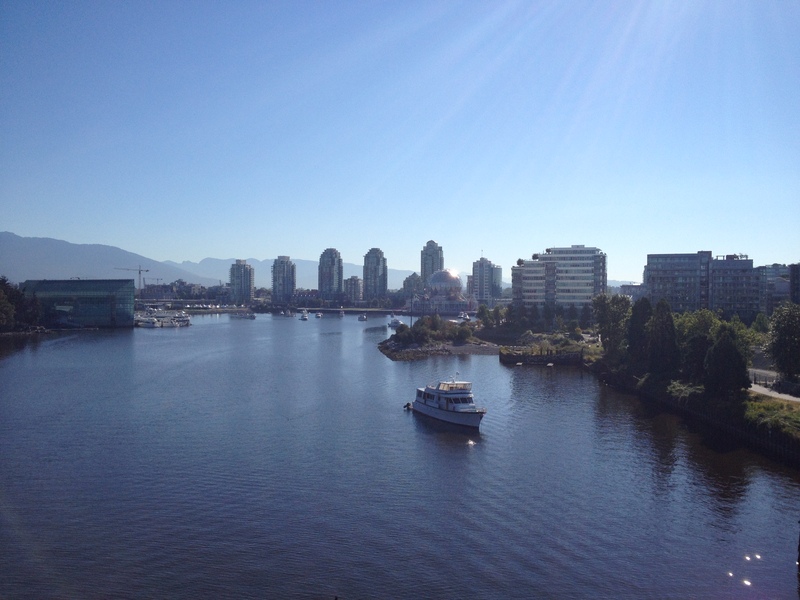 I was running along the Seawall (which is a big no-no according to my physiotherapist) and it was a beautiful, cool morning. It was only the second time I’d been out on the Seawall for a run since last summer and there were SO many other runners of all different sizes and abilities out. I exchanged “good morning”s with many of them, while others were too far in their “zone” to notice anyone else. I could tell that some had been running longer than I’ve been alive and others were just starting out. On Saturday morning I decided I was no longer going to let my injury get the best of me. I wasn’t going to get discouraged if I had to cut a run short, I wasn’t going to get frustrated by all the extra time warm-ups and cool-downs take, and I wasn’t going to let myself get jealous when other runners passed me and I felt like speeding up. I went out today with no expectations. I wasn’t anticipating a flare-up, but I also wasn’t expecting to finish the full 9 miles. Basically I was neutral about the whole thing. During my quest for distance the past few months I’ve tried walk/run intervals and just running at a substantially slower pace than what I’m used to, both of which didn’t do the trick. So today I decided to go back to the intervals, but instead of run at my regular pace like I did last time, I opted to stay slow. And it worked!! I was averaging 11:41min/mile which made for a pretty long run, but the weather was gorgeous so I took it as an opportunity to enjoy my city and work on my tan 😉 I listened to some good beats and got a lot of planning and thinking done that I’ve been needing to do for awhile. When I started running four years ago I never set out with any time goals. Hell, I didn’t even track my distance for the first year. I went out because it gave me a chance to explore my surroundings (I was living in the Yukon at the time) and it allowed me to be alone with my thoughts at a time when I was self-conscious about my introverted-ness and felt the need to be surrounded by people all the time, even though that wasn’t really what I wanted. I’ll of course still continue training for my half marathons and triathlons (during my revelation on Saturday I also decided I would do an Iron Man by 2020??? ), but I’m going to really work at keeping the “must go faster, must beat everyone” out of it. This applies to everything in life. Maybe you have all these great ideas you want to pursue and haphazardly try to bring them all to life at once. By practicing patience and not letting the ego decide that EVERYTHING MUST BE DONE RIGHT NOW you can focus on one thing at a time and make each idea a totally kickass possibility. But by giving into these notions you set yourself up for disappointment. You might lose a couple pounds to start with, but have you learned anything about how to keep it off? And more importantly, are you doing your body more harm than good? 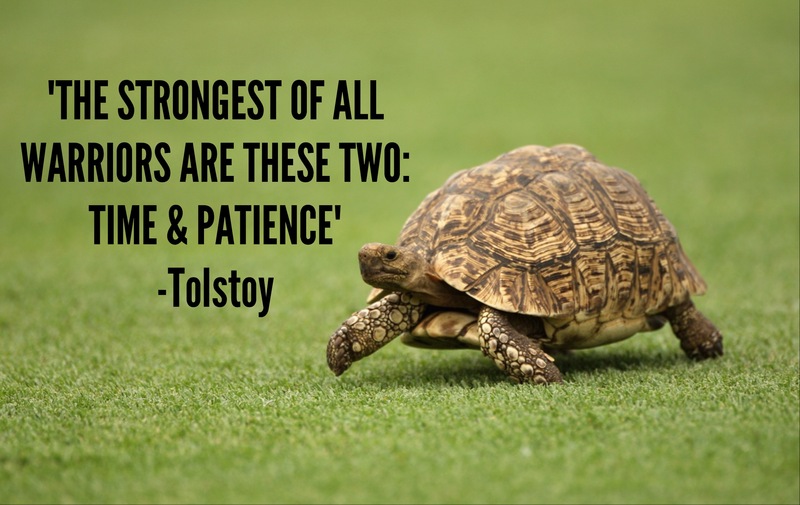 Patience really is a virtue, and is something that must be practiced in all areas of our lives. When I head out for my 10-miler next week I’m going to keep all these things in mind. When I’m feeling good for the first 5 or 6 miles I’m going to resist the temptation to pick up the speed during my running intervals. When streams of people pass me during Seawheeze I’m not going to get upset, or jealous, or secretly hate them for running faster than me. I’m going to be grateful that I have the opportunity just to be out there. How about you, readers? Have you ever struggled to hold back and keep yourself in check when you just want to barrel through the gates? Do you ever catch your ego getting the best of you? This entry was posted in Running and tagged diet, exercise, fitness, goals, half marathon, inspiration, motivation, running, sweat pink, vancouver, weight loss. Bookmark the permalink. Congrats on a pain-free run! 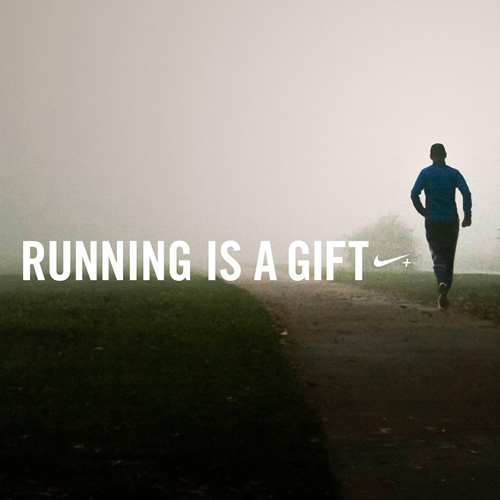 As someone who’s currently running in pain, I totally appreciate what a gift that is. Thank you so much! It’s definitely a relief. Sorry to hear you’re injured as well; what’s going on with you? That is so awesome that you have no IT pain!! 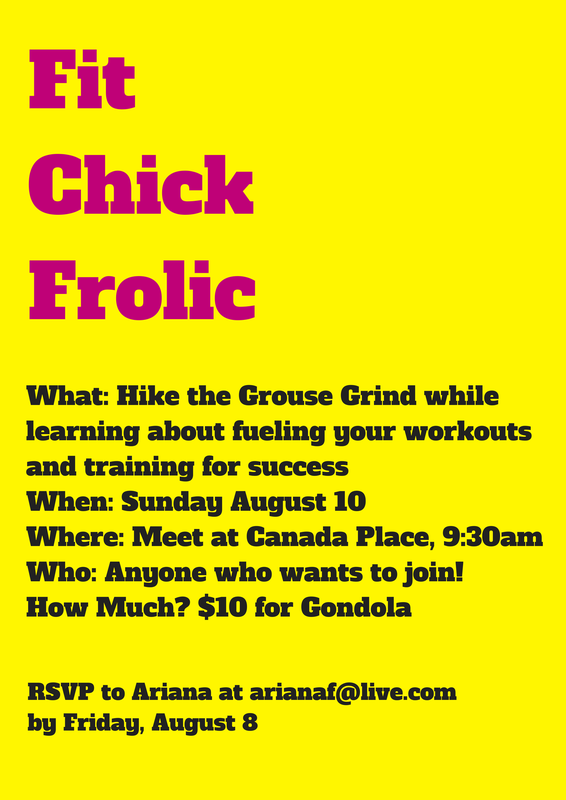 Your Fit Chic Frolic looks like fun. I wish I was in the area then as I would’ve joined you for sure. If you hold one again perhaps it will fall on a time when I’m down there. I’ll be sure to post them on here. I’m hoping to do something else while it’s still relatively warm out! Congrats on the pain free run! As someone who is injured quite frequently due to soccer, I know how frustrating it can be to be sore or in pain when you just want to go out there and do what you love. Hopefully this pain free trend lasts for you!! Yay for no IT band pain! I think I’ve just about got mine under control too 🙂 Your Fit Chic Frolic sounds like fun! Is there a certain time you’re aiming for? I’ve only done the Grind once back when I was a couch potato… it didn’t go so well. I’ve been wanting to tackle it again! Awesome!!! What tactics have you been using? Any time I hear of someone having IT problems I want to know everything and anything they’ve tried so I can try it myself haha. No time goal at all! 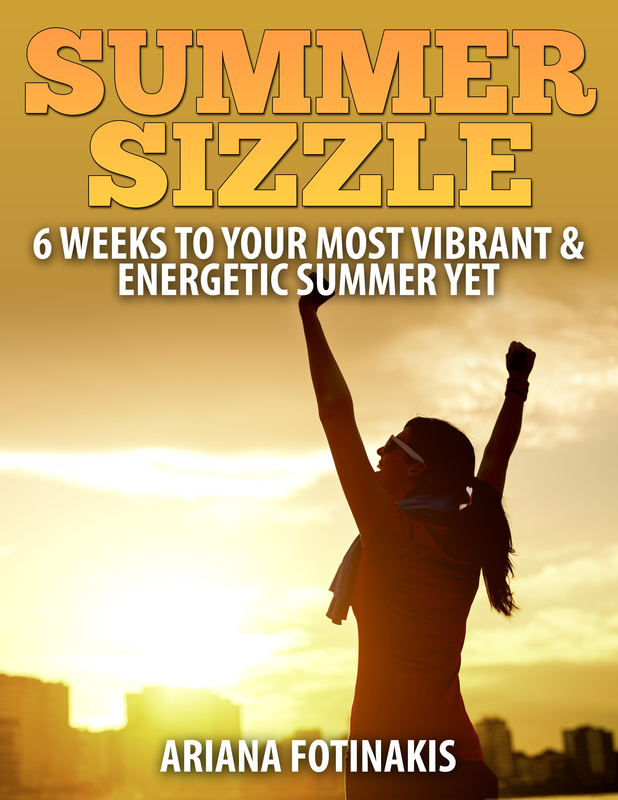 There’s going to be all different fitness levels and I will be making sure no one is left behind! You should come out and join us!! Well, I followed my PT’s advice at first to stay off it and do lots of clam shells and foam-rolling, but it wasn’t helping. Leg curls and calf raises seem to be what’s working for me! I think I will join you! Sounds like fun!! I was in a similar boat. Went to PT weekly for 6 months and things got a little better, but I still couldn’t get past 12km without problems. I’m glad you’ve found other strengthening exercises that work!